This apple originated in North Carolina with Welsh immigrants who settled near Burgaw and Rockfish Creeks on the banks of the Cape Fear River. It was first described in 1858 when it was introduced to the American Pomological Society as the “Cotton” apple by a Mr. Westbrook, a North Carolina nurseryman. 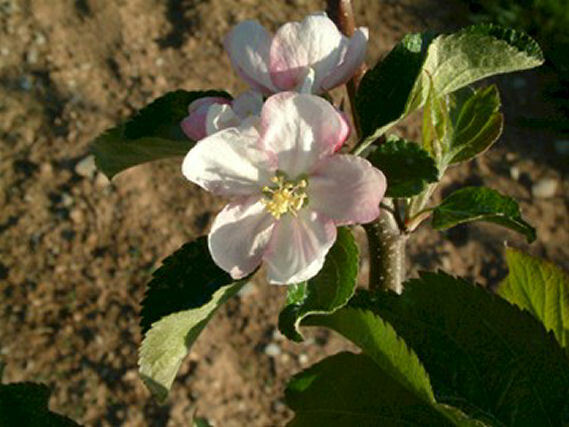 According to Calhoun (1995), an apple found in the North Carolina mountains years ago known as Cotton Sweet or White Sweet is most likely the same variety. 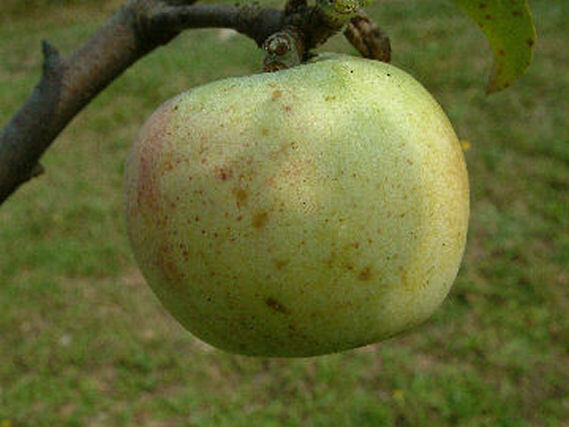 Fruit is large, round to oblate in shape with white to pale yellow skin. The yellowish-white flesh is very tender and very sweet. Ripens in August.